KAUST offers furnished housing with arrangements in place for the upkeep and maintenance of housing units. Our housing stock includes apartments, terraced townhouses, detached houses and villas. The community also has single-gender housing for sharing residents. Our commitment to KAUST residents is to provide a smooth transition from their old home, help quickly settle into the international and culturally diverse KAUST community and provide opportunities to make KAUST their new home. 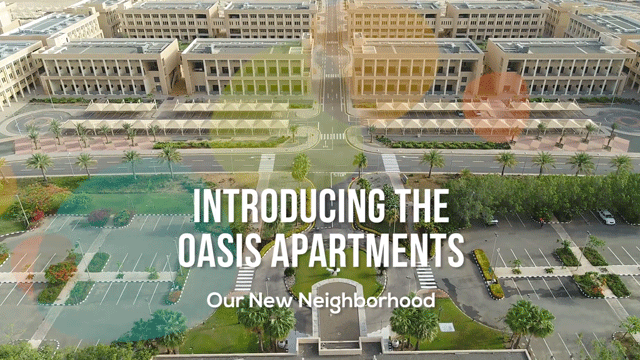 Our newest neighborhood, the Oasis Apartments are located across the road from the Safaa Golf Club and have easy access to the KAUST stadium and its recreation offer including football and a running track.